At Spicer’s Brokerage Sales we understand that being successful in the Yacht Brokerage Business is a result of hard work and a dedicated commitment to provide you the customer with excellent service. We offer boat brokerage and used yacht and boat sales in nearby areas of Connecticut & Rhode Island. Located just west of Mystic, Connecticut, and right on Fishers Island Sound, we offer a wide variety of yachts to choose from. 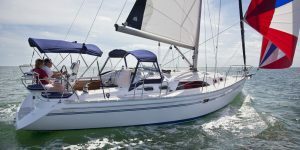 Our large selection of quality used Sailboats & Powerboats, along with an excellent reputation for service has placed us in the position of being one of the largest full-service Yacht Brokerage firms in Southern New England. As you can see from the look of our large, well maintained 600+ vessel marina, we also offer much more than that. We have complete maintenance and service facilities for both power and sailboats. As a full-service marina, we offer concrete floating docks, deep water moorings, launch service, winter storage wet or dry, rigging, wood shops, canvas / sail-makers, fiberglass expertise, and emergency engine and hull repair. We are dedicated to having a constant inventory of quality yachts, both Power and Sail and the majority of boats we sell have been maintained at the marina. We search each day for new sellers to provide our clients the largest possible variety of quality yachts for your review. If you are considering selling your current vessel, Spicer’s Brokerage Sales can provide the highest level of personal service through Multiple Listing Services & affiliate brokers, along with providing worldwide exposure through global Internet Website Marketing Strategies and other advertising mediums. Our years of experience will guide you through the listing, sales, survey, sea trial, and delivery process. We welcome all size vessels within the Southern New England area to our listing database and we look forward to the opportunity of representing you in the sale of your vessel. Please enjoy our website, check out our featured listings & current inventory. MORE WEBSITE TRAFFIC. MORE EXPOSURE. MORE REASONS TO LIST WITH US! 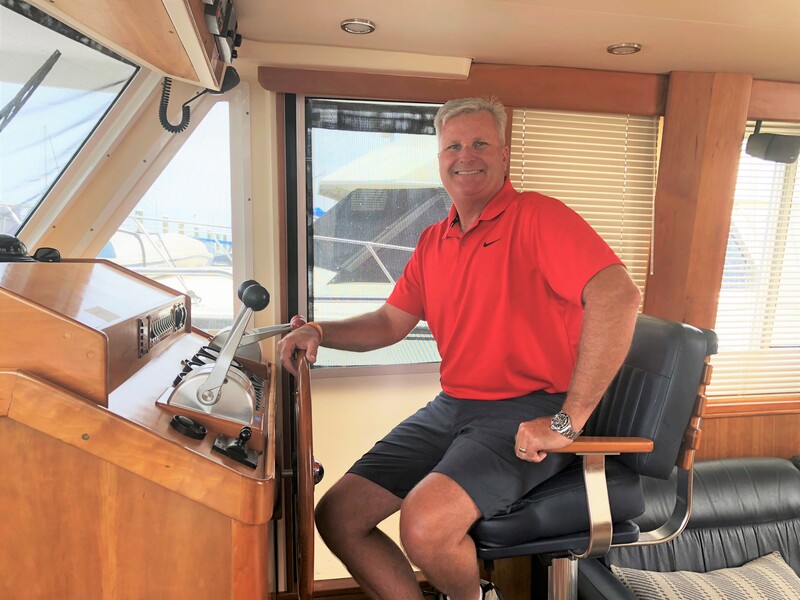 John MacPherson, our Yacht Brokerage Sales Manager, is a Certified Professional Yacht Broker Endorsed by the Yacht Brokers Association of America. John has earned the CPYB designation. CPYB is to yacht brokers what CPA is to accountants and CLU is to insurance. In addition, John is a graduate of the Rensselaer Polytechnic Institute having earned his MBA in General Business Administration. As in other professions, performance standards, professional training, and recognition are essential tools to maintain aggressive performance goals and sound business practices. Furthermore, John has over 30 years of industry experience and has been employed with us here at Spicer’s Marina since 1985. 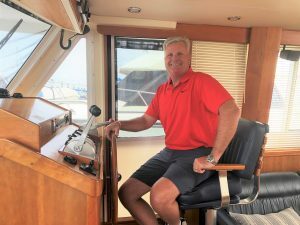 Having represented over three thousand buyers and sellers in his career, John has gained the experience, knowledge, expertise, and desire to help you find the right boat. From finding you the right boat, to properly outfitting it, to showing you how to get the most pleasure from it, John’s goal is to make your buying and selling experience a very pleasant one. For listing information, pricing and sales marketing advice call our office today at 860 536-4978 or 860 867-6411 or Contact Us via email. We have clients and brokers that may be looking for your current model. Our phone lines are open 24 hours a day 365 days a year.